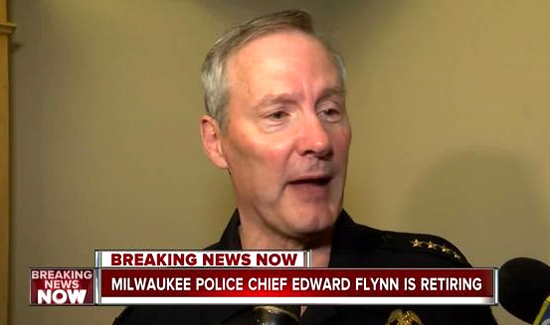 In Milwaukee, Police Chief Edward Flynn has announced his impending retirement. But he’s also in a heated war of words with the Police Commission. Flynn says Police Commission member MaryNell Regan tried to interfere into an internal investigation. Regan says she thinks it’s sad that Flynn is attacking her and the commission on his way out. “I was deeply disturbed to learn this week that he used the city’s $330 million agency to personally conduct surveillance on me, and others, for over a year, purely for retaliation,” she said. 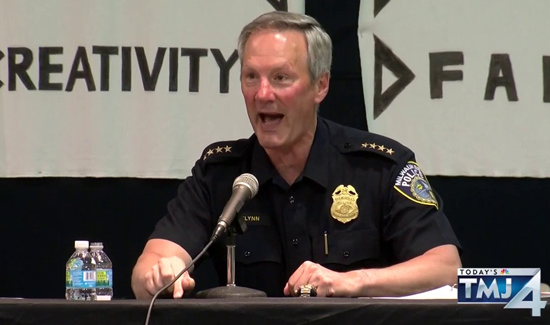 “I have no desire to continue to play a part in what is becoming a ‘conflict’ story when it is abundantly clear that the relevant City Hall decision-makers have already circled the wagons around one of their own,” Flynn responded. Even if you read the whole article it’s hard to understand what’s what with this crap- which is not uncommon when it comes to disciplinary matters involving a boss, a civilian review board member and a captain she may or may not have been romantically involved with. Anyway, if you’re bucking for detective, see if you can’t get to the bottom of this. Complicated cases like this are good practice.